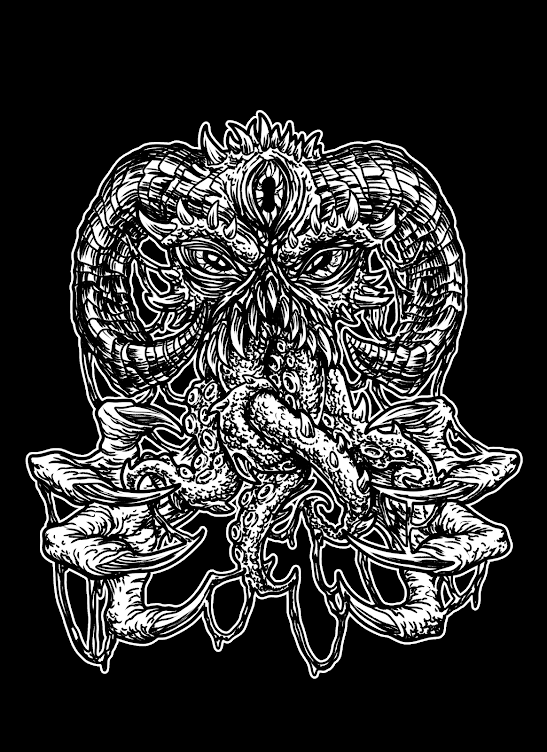 So if you’re anything like me you’re the kind of listener who keeps an open ear for new heavy music, hoping to discover a band who will inspire you, challenge you, and give you a little something you haven’t heard from other groups, but you’ve also learned the importance of looking to artists from the past. 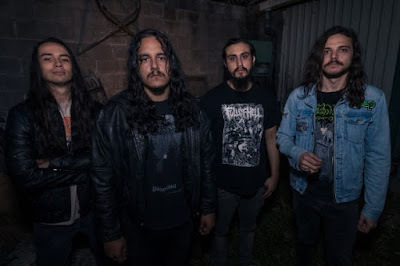 Anyone who knows anything about music knows that contemporary metal couldn’t have evolved to its current state without a few core groups from the beginning, (the same ones that pretty much any heavy band will cite as influences.) Black Sabbath, Blue Cheer, Deep Purple, Iron Butterfly, and even next generation bands like Pentagram and Budgie, are generally given the nod when it comes to laying the foundations for what has come to be known as “heavy.” Late ‘60s/early ‘70s “heavy” was its own kind of beast. Amplifier technology still had a way to go before guitarists were able to get that classic metal “crunch,” and it goes without saying that most of these bands were a far cry from the prominent peace and love flavor of the day. They relied on volume, thick guitars, pounding “bucket” drums, and bass lines that slithered like snakes in order to get that classic, minor key “bummer” sound. The end results naturally freaked out lots of folks, but for many others, this music was an intoxicating beginning to a lifelong obsession. Regardless of the immense success of the aforementioned groups, most heavy bands from that magical period of 1968 to 1972 simply fell to the wayside, becoming nothing but fodder for old dude conversations in pubs and record stores, or prized gems for fanboy collectors. Sometime in the early ‘90s I visited my favorite record store in Newport News, Virginia, (American Oldies Records, which is surprisingly still there today.) I asked the owner, Doug Crane, if he knew of any gems I should be looking for. By this time I had developed a reputation with all the older guys there as the 19 year old shopper who “knew what was up.” I was known as the young guy who loved Blue Cheer, Sabbath, the Stooges and the MC5, and who was always on the lookout for anything remotely of that ilk. It was then when I was introduced to Dragonfly, a late ‘60s heavy psych band from Denver, Colorado who relocated to Los Angeles in hopes of starting a thriving recording career. Sadly, like many other heavy bands during their time, their record did not sell, did not catch on with people, and they were inevitably dejected and denounced, becoming nothing but a hidden diamond in the rough. Doug had gotten a hold of some shady European CD reissue of the band’s only album, a self titled, fuzzed-out masterpiece from 1968 with nothing on the cover but, (surprise, surprise,) a dragonfly. When he queued the disc for me and played the opening track, “Blue Monday,” I swear I stopped breathing. Ironically, the very first thing you hear on the track is a faint voice croaking the words, “Oh, my god.” That was precisely my reaction after hearing that pure onslaught of fuzz and fury. The entire record rocks hard and grooves with sublime musicianship. The lead singer, Gerry Jimerfield, sounds like a considerably less drunken Jim Morrison, providing the perfect blues howl to the fuzzed-out bummer rock of “Blue Monday.” To this day, it’s still one of my all-time favorite album openers. The band definitely wasn’t dicking around when they chose this song as the first track. It’s down-tuned to the key of D, (a technique still heavily utilized to this very day,) has vicious guitar tones, and the rhythm absolutely pummels the listener. 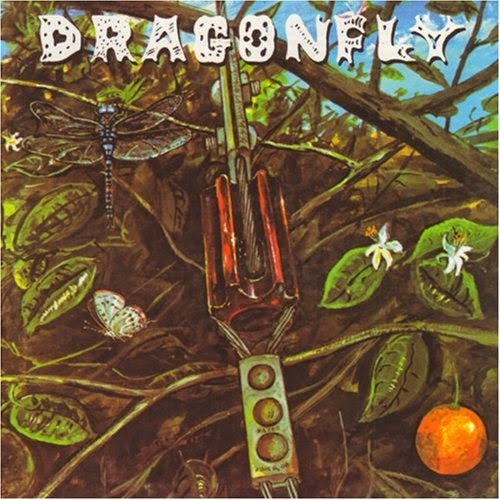 Like most other heavy bands from the late ‘60s, Dragonfly’s obvious influences were Jimi Hendrix and The Who. The drummer, Barry Davis, gets his Keith Moon on all throughout the record, particularly on the “I Can See for Miles”-esque, “Portrait of Youth.” For those of you with a penchant towards head-trip psychedelia, there are plenty such moments. Album closer, “Miles Away,” strays from its anthemish beginning and dives into some serious lysergic moments before coming full circle to the charging opening riff and its cold, COLD stop. A very sudden ending to a nonstop rocker of an album. It always leaves me thinking, “Did I just experience that?” Because that’s precisely what this album is for me every time I listen to it, an experience. This band, also loosely later known as Dragonfly, was originally from Colorado, but bounced back and forth between there and L.A. to record and issue records. Members included Jack Duncan (bass), Barry Davis (drums, background vocals), Gerry Jimerfield (guitar, lead vocals), Randy Russ (guitar, background vocals) and Ernie McElwaine (keyboards). The band's origins can be traced to El Paso, TX where in 1965 Duncan and Davis met each other and became fast friends while playing in a group called the Pawns. Getting word that the Pawns were going to be playing a gig in Farmington, NM, Coloradoans Jimerfield and McElwaine took a road trip down south to check them out and were very impressed. At 26, Jimerfield was a bit more seasoned and had already played the L.A. scene, appearing on the show 'Hullabaloo' as well as more recently fronting his own band called the Lords Of London back in Colorado. Citing his L.A. connections, Jimerfield soon convinced Duncan and Davis to quit the Pawns and relocate to Durango, CO where they could stay at his parents' motel and form a new ensemble. The band rehearsed there for a couple of months and soon decided they needed to add a second guitar player. Duncan and Davis suggested Russ, who they knew from their El Paso days. The group was completed when Russ agreed to move up to Durango and join up. In early 1967, the band, now calling themselves the Lords Of London, moved to the Denver area where they played a lot of clubs and eventually became a frequent opening act at Chet Helms' Family Dog theatre. Getting restless in Colorado, they then bounced out to L.A. for a brief stint where they changed their name to the Jimerfield Legend, but soon moved back to good old Colorado in time for the 1967 Summer of Love. By 1968, they had moved back to L.A., shortened their name to the Legend and signed with the local label Megaphone, releasing three 45s and a full length, self-titled LP. The album contains mostly pre-psychedelic covers, and according to Duncan, the instrumentation was mostly played by non-group session musicians. However, the second 45 released as the Legend, contains two excellent non-LP originals ('Portrait Of Youth' b/w 'Enjoy Yourself'), which were later significantly redone and appear again on the 'Dragonfly' LP. Unfortunately all of the records fell flat in sales and the band again moved back to Colorado, where they continued to remain a well received live act. At around this time, McElwaine left the group and was not replaced. In 1969, the same executives who represented the Legend recordings, saw the band playing at their old haunt, the Denver Family Dog, and were now further amazed by their originality and musicianship. This time, the record execs promised to allow the band to cut an LP of original material, so they packed up again for L.A. and recorded what was to become the 'Dragonfly' LP at Amigo and I.D. Studios in North Hollywood. This album is absolutely amazing and includes several outstanding, harder psychedelic originals, most of which are played on TWOS and credited to the Dragonfly moniker. At the time of release, the record did get some modest airplay on L.A. radio, but unfortunately it didn't sell well and the group broke up soon after its release. Jimerfield has since passed away, but Duncan, Davis and Russ are still active musicians to this day.